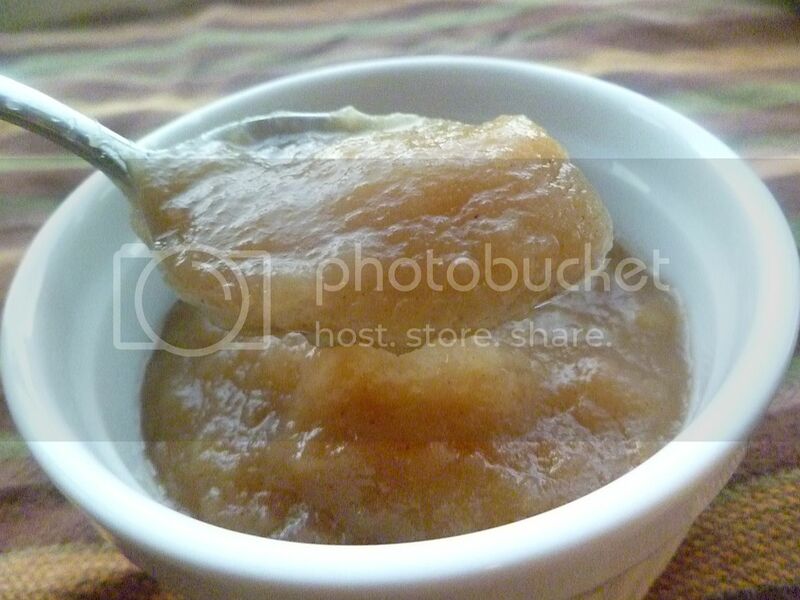 Since it's apple season, I felt it was time to make some homemade applesauce. It's so easy, and I love how it tastes. The Kid loves it too, which makes it even greater. 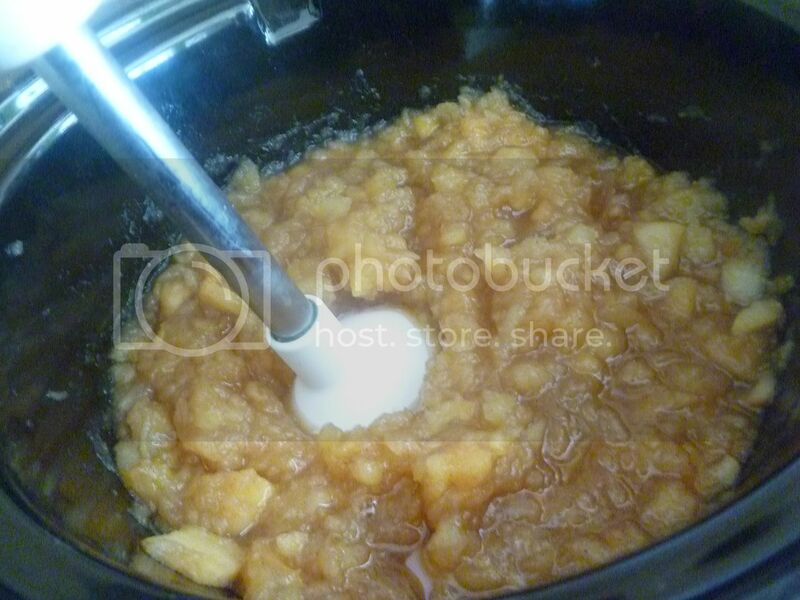 And I let my crock pot do all the work, which meant that all I had to do was peel some apples, and in no time my house smelled amazing and I had the easiest applesauce ever. So, right. Peel the apples. I like to peel my apples in a long, curving strip because it's fun. Feel free to peel however you want to. Use a nice, mealy apple. I used Galas. If you've got a local orchard, why not go and buy locally-grown apples? The apple people should be able to point you to the best kind of sauce apples they've got. Cut the peeled apple in half. Then cut it in half again. Cut into the core at an angle. Coring. It's as easy as that. Now that your apple quarter is cored, you can--guess what?--cut it again. Don't worry. We're done cutting now. Toss the apples into your slow cooker. Seven apples were the perfect amount for my 1.5 quart insert. I threw some of the peel on top, for flavor and color. And then, not thinking, I completely negated the color aspect that the peel offers by using brown sugar instead of white. Yeah. Not very smart. If you like pink applesauce, use white sugar. I just really like how brown sugar tastes. But be warned, you'll end up with brown applesauce. Be smarter than me. And then I was going to throw in a cinnamon stick, but apparently was out of them. So I used ground cinnamon instead. Again, if you like white applesauce, check your pantry before going to the grocery store to make sure you actually have cinnamon sticks. A bit of apple cider will help your apples cook down more quickly. Turn your crock pot on high and go do something else for the next several hours. After 3-4 hours, your sauce should be ready! The apples should be soft and cooked through. If they're not, just let them cook longer. I started out with a potato masher, but then the request came for smooth applesauce. So I grabbed my immersion blender and went for smooth instead of chunky. Serve it hot or cold, for breakfast or dessert, with food or by itself! Peel, core, and dice apples. Put in crock pot. Add sugar, cinnamon, and cider. Cook on high heat for 3-4 hours; if apples are not cooked through after that time, continue cooking until they are. 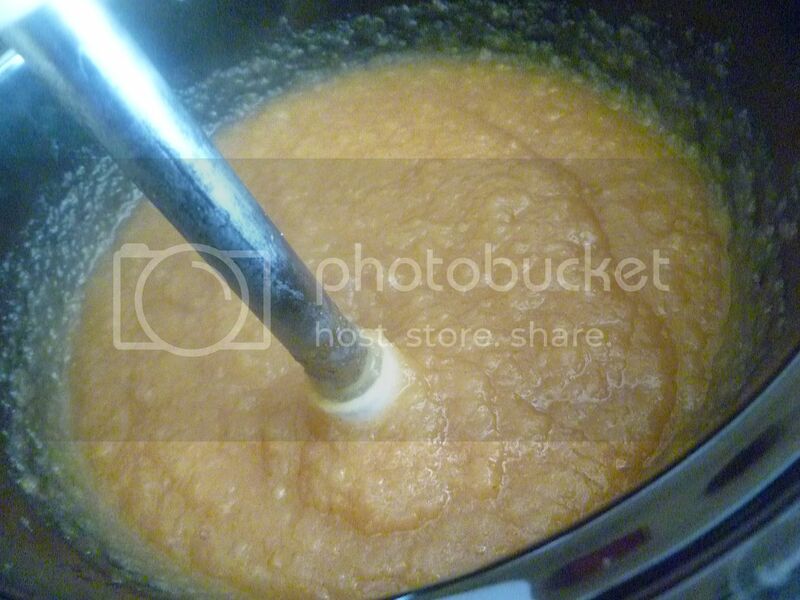 Mash or blend until applesauce reaches your desired consistency.